Suneera Madhani, Founder and Chief Executive Officer of Fattmerchant, is a payments and technology innovator who has catapulted her business idea from startup to $2B — disrupting the payments ecosystem as we know it. Before founding the company in 2014, Madhani held a variety of successful positions, one being with a larger merchant services provider. After seeing the need for transparency and a better payment experience for merchants, her entrepreneurial spirit took hold and she decided to solve the problem herself. 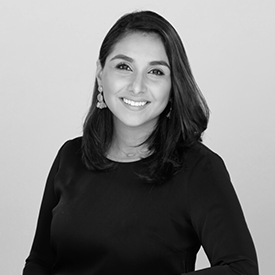 Under her leadership, Fattmerchant has experienced explosive growth, raising almost $20 million in venture capital funding and employing almost 100 people. The company’s integrated technology has disrupted what was once a stagnant and inert industry, offering an all-in-one payment experience for merchants. She has been named the Most Influential Woman in Payments, CEO of the Year, and one of Florida’s Most Influential Business Leaders. She has spoken at national fintech and payments conferences such as Money 20/20 and ETA Transact, and is an active member of Forbes’ Young Entrepreneurs Council.